Good morning. It's Wednesday, March 13. • Silicon Valley is a hub of a vast college entrance scandal. • The governor plans to order a halt to capital punishment. • And millions of butterflies overtake Southern California. 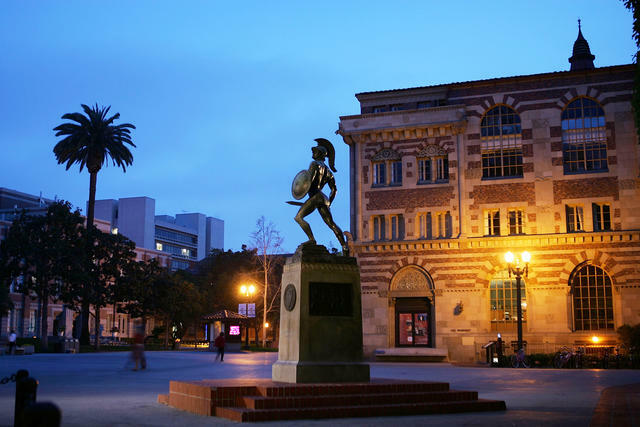 The campus at USC, where athletic officials were accused of taking bribes. California found itself at the center of the largest-ever college admissions scam, which snared two Hollywood actresses along with a roster of ultra rich parents in Los Angeles and Silicon Valley. Lori Loughlin, of "Full House," and her husband were accused of paying $500,000 in bribes so their daughters would face relaxed admissions standards at USC. Prosecutors said Felicity Huffman, of “Desperate Housewives,” paid $15,000 to arrange a test-taking scam for her daughter. Others accused of bribery, fraud, and cheating to get their children into big-name schools included a prominent Silicon Valley investor, a Napa Valley vintner, and a radiation oncologist from Palo Alto. "These parents are a catalogue of wealth and privilege,” a federal prosecutor said. "For every student admitted through fraud, an honest, genuinely talented student was rejected." Lori Loughlin, right, was accused of paying bribes to get her daughter Olivia Jade Giannulli, left, into USC. 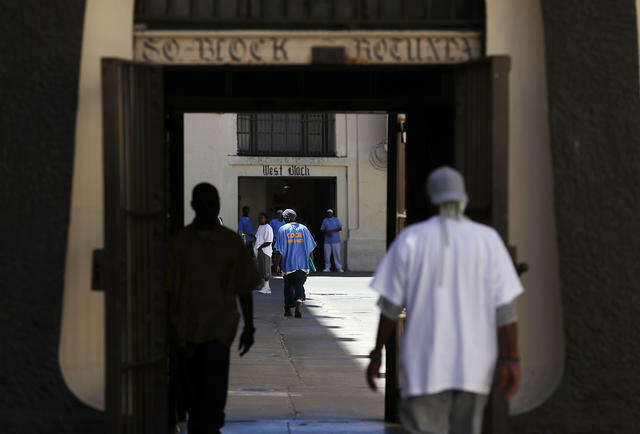 Inmates at San Quentin, home to California's only death row for incarcerated men. Gov. Gavin Newsom said he would sign a moratorium on capital punishment on Wednesday, delivering a reprieve to 737 California death row inmates. "Our death penalty system has been — by any measure — a failure," he said. "It has provided no public safety benefit or value as a deterrent." In 2016, California voters rejected an initiative to abolish the death penalty and approved a separate measure to speed it up. An attempt to track racial profiling complaints against California police officers found that there are hardly any. According to the report, 17 percent of the state's law enforcement agencies reported zero complaints in 2017. Of 659 profiling complaints that were filed in a state of nearly 40 million residents, only 10 were sustained. Critics are skeptical of the figures to say the least. 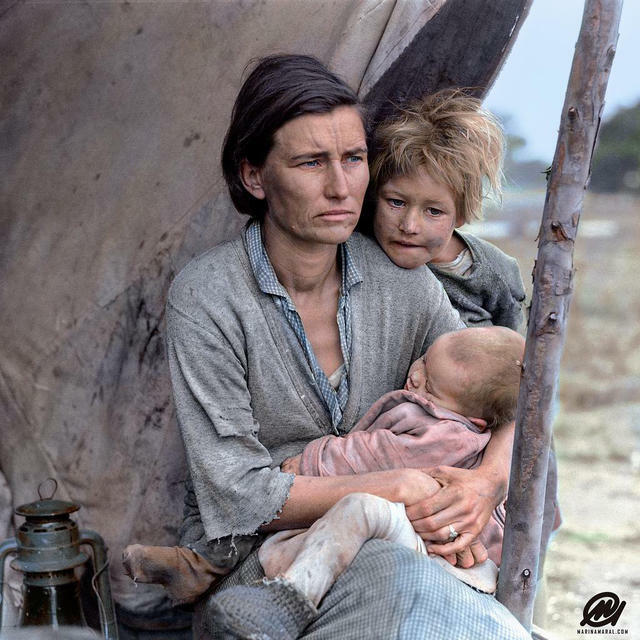 A colorized version of "Migrant Mother." It was in March of 1936 that Dorothea Lange captured her famous photo of Florence Owens Thompson in the Central Coast town of Nipomo. For decades, little was known of the woman who became emblematic of the Great Depression. She surfaced in a letter to the Modesto Bee in 1978, in which she complained about having felt exploited by Lange. It turned out that Thompson was not of European descent, as many had assumed, but was a daughter of Cherokees displaced from their native tribal land. She lived a life of toil, working day and night to feed 10 children, who later bought her a home in Modesto — which she rejected in favor of her trailer. "I need to have wheels under me," she explained to a reporter. Thompson lived to be 80. Her gravestone in Hughson reads: "FLORENCE LEONA THOMPSON Migrant Mother — A Legend of the Strength of American Motherhood." A man accused of fatally stabbing a 59-year-old San Jose woman last month was in the country illegally and had been ordered detained by federal authorities nine times. Carlos Eduardo Arevalo-Carranza, who has a lengthy criminal record, was released from the Santa Clara County jail twice in the months before the killing. San Jose's mayor sharply criticized the county's policy of not honoring immigration detention orders at the jail, saying it undermines safety "and violates common sense." 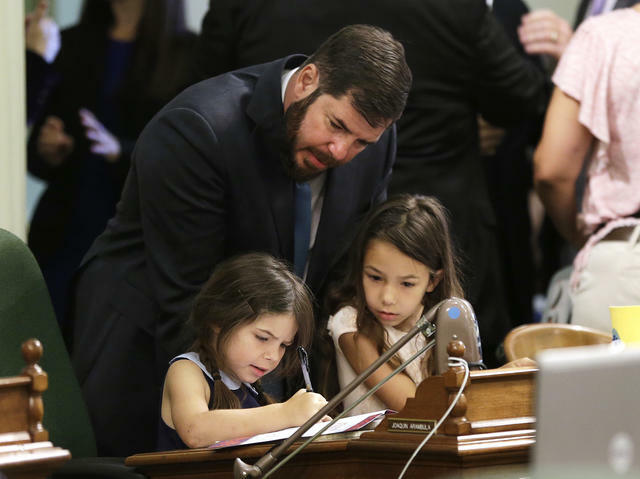 Assemblyman Joaquin Arambula, a Fresno Democrat, with his daughters in Sacramento last summer. After being arrested in December on suspicion of child abuse, state Assemblyman Joaquin Arambula explained that the accusation stemmed from him spanking his 7-year-old daughter. But that didn't resolve the matter for Fresno County prosecutors, who have now charged the lawmaker with inflicting unjustifiable physical pain or mental suffering on a child. In a statement, Arambula said he and his wife were "shocked." At a middle school in Santa Rosa last week, 12-year-old Raquel Zuniga froze up in a hallway, unable to move. It happens sometimes, her mother explained, that Raquel, who has Down Syndrome, struggles to transition from one place to another. She was standing there with her stuffed Kermit the Frog for more than an hour when Santa Rosa police officer Chris Morrison happened by. Morrison paused and sang "Rainbow Connection" to the girl. Then: a big smile. The moment was caught on video and shared widely on social media. California grows more than 80 percent of the world's almonds. During the annual bloom, Central Valley orchards light up in whites, pinks, and purples. Here are some recent drone views from the Arbuckle area in Colusa County and the Escalon area in San Joaquin County. 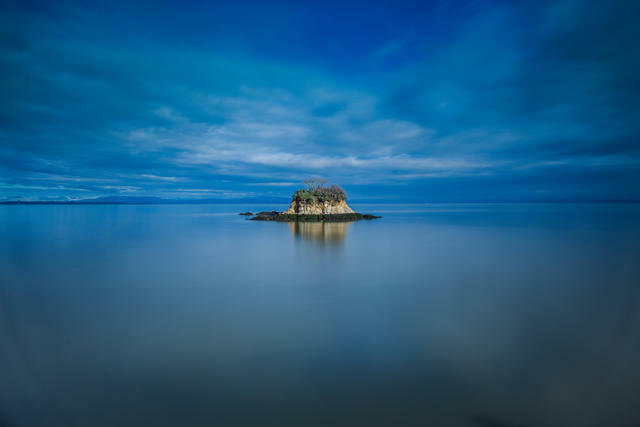 Rat Rock sits just offshore at China Camp State Park. By the 1880s, a shrimp-fishing village named China Camp was flourishing along the shore of the San Pablo Bay, its catch dried and shipped to Chinese communities through the U.S. In its heyday, there were three general stores, a marine supply store, and a barber shop. Today, the village is protected as a state park. The view of San Pablo Bay alone makes it a must-visit. 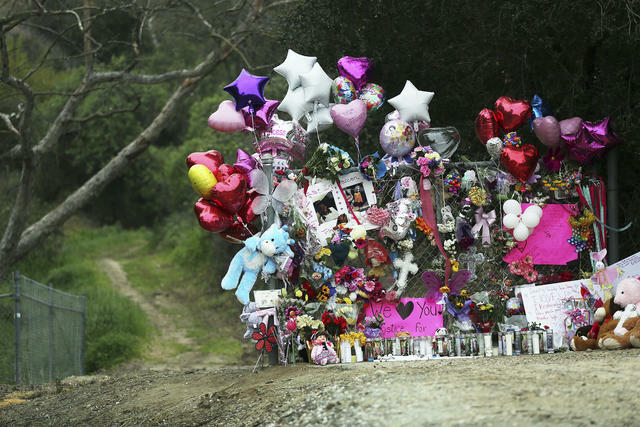 A makeshift memorial for Trinity Love Jones formed along a trail in Hacienda Heights. A convicted child abuser was charged with killing 9-year-old Trinity Love Jones, whose body was found in a duffel bag near a trail in the San Gabriel Valley. Emiel Hunt, 38, identified as the boyfriend of Jones' mother, was arrested after police found him sleeping in his car near the San Diego airport. The girl's mother, Taquesta Graham, was also taken into custody, but no charges were filed. An explosion of nectar plants has brought out vast numbers of painted ladies. 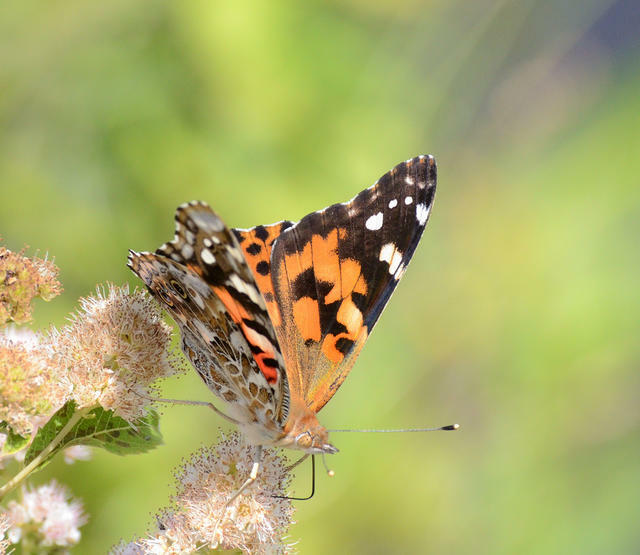 In the last week, Southern California has been overtaken by millions of painted ladies, the black-and-orange butterflies that migrate north across the state each year. The vast numbers — unrivaled since 2005 — have been attributed to one crucial factor: rain. A proliferation of nectar plants has been a feast for the butterflies. An entomologist told Curbed that the desert is filled with caterpillars. "I know people who do field work out there, and they're saying, 'Holy crap,'" he said. When Gov. Gavin Newsom called for scaling back California's high-speed rail ambitions, he suggested work be completed on a narrower route between Bakersfield to Merced. Now leaders of Kern County, home to Bakersfield, are going a step further. Supervisors adopted a resolution calling for abandoning the project altogether. "With all due respect Governor," a supervisor wrote, "take a train from here to Merced — and then what?" 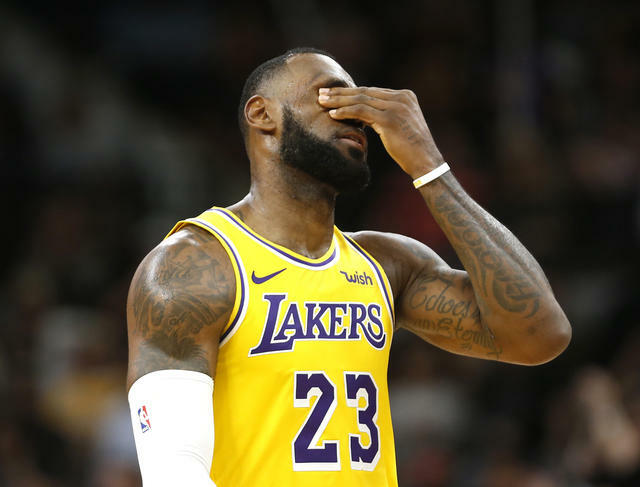 LeBron James has had a disappointing first season with the Lakers. When LeBron James joined the Lakers last year, hopes surged that his otherworldly talent would carry the young team to title contention. Now the purple and gold have been all but eliminated from the postseason. Some are already talking about ending the experiment. "They have to rebuild this roster, right?" ESPN analyst Jeff Van Gundy said. "And to me, it could be a trade for an Anthony Davis, or I think they need to explore trading LeBron, for getting as much as they can." 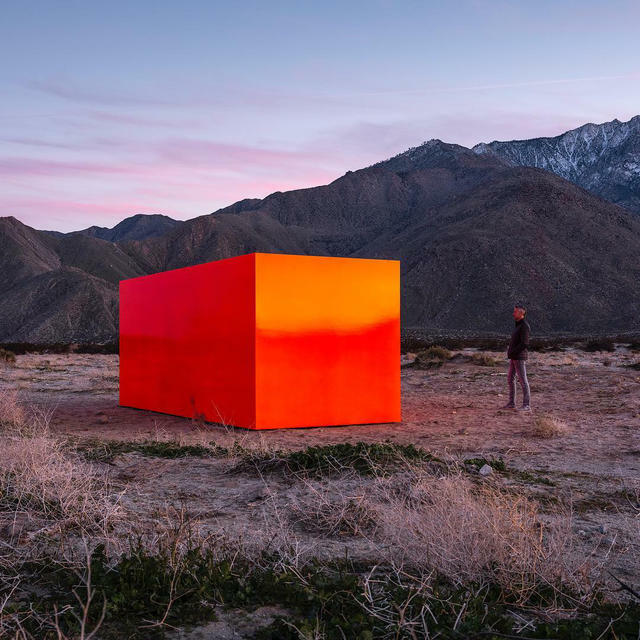 "SPECTER," a flaming orange monolith by sculptor Sterling Ruby, is part of Desert X. On the latest episode of the California Sun Podcast, host Jeff Schechtman chatted with David Kipen, a cultural historian of Los Angeles who assembled a kaleidoscopic view of the city in his book "Dear Los Angeles." Listen and subscribe.